Dimensions 47'8" by 34'2" by 9'8"
36 aircraft were modified as AT-11A navigation trainers. The AT-11 was used to train 90% of American bombardiers during the Second World War. 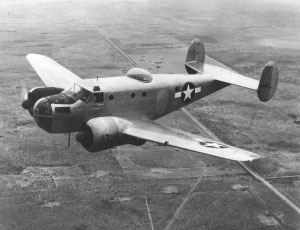 It was a militarized version of the Beechcraft Model 18 commercial transport equipped with a transparent nose, bomb bay, and provisions for flexible guns for gunnery training. However, the AT-11 was not equipped with the Norden Bombsight until late 1943.